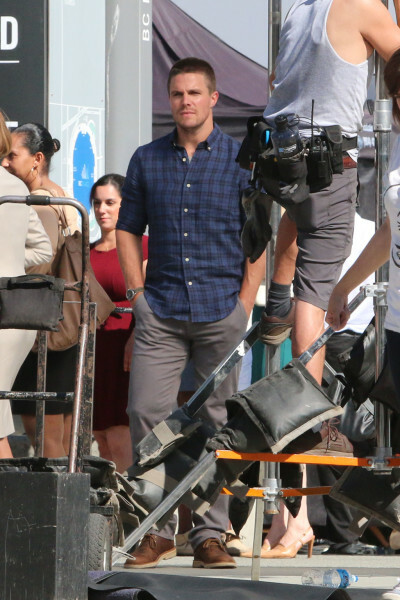 Arrow has been a constant in Vancouver for 3 years now and on Friday they hit Terry Fox Plaza for the first on location shoot of season 3. 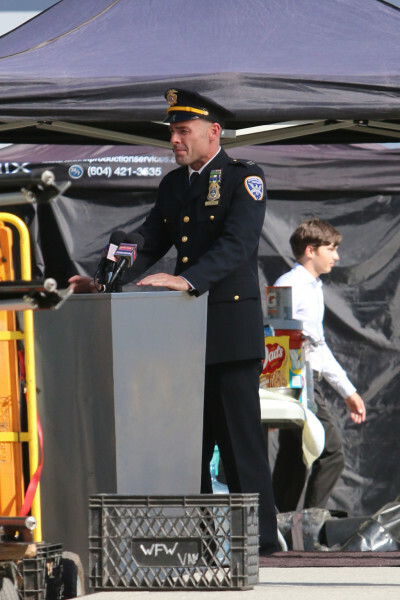 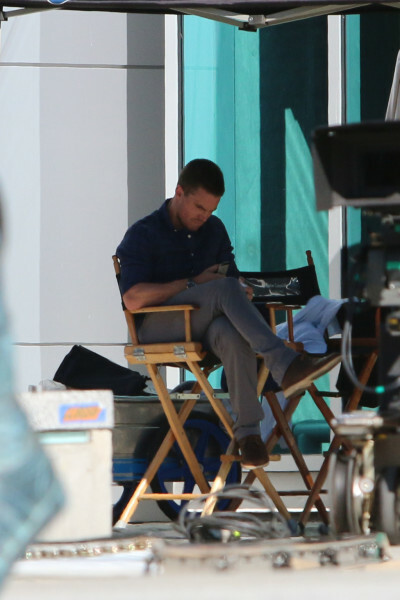 Stars Stephen Amell, Katie Cassidy and Paul Blackthorne braved the 30 degree heat and filmed a Starling City Police Department press conference in front of BC Place. 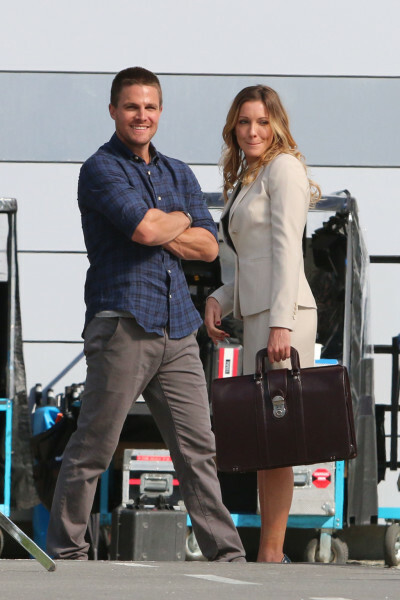 Katie would strip off her blazer and shoes in between takes to cool down while Toronto born Stephen would joke around with his fellow cast mates and crew. 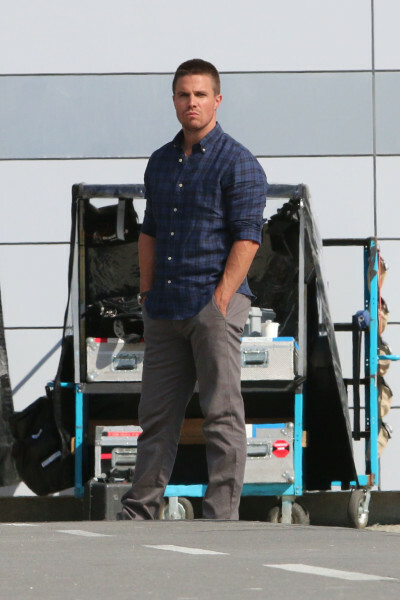 Later in the evening Stephen filmed a few scenes with Vancouver actress Emily Bett Rickards before the shoot moved to the Plaza of Nations for filming on the rooftop.